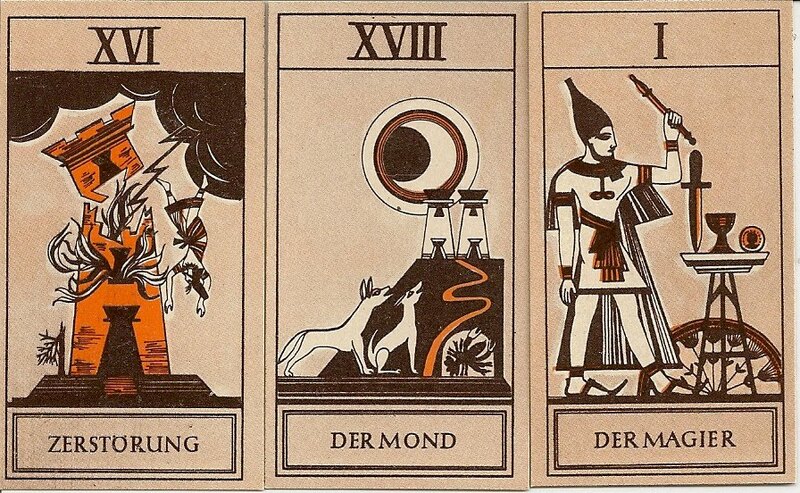 The first edition of the cards was printed 1949 in Berlin, these cards were of larger size than the following editions and came without or with a shorter version of the book. Unfortunately I do not own the 1949 edition. The Editions from 1954 and 1962, which are in my collection, have smaller cards and accompany a book by Joachim Winckelmann. 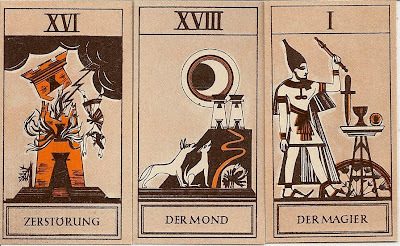 The 1949 and the 1962 editions are mentioned in Kaplans Encyclopedia of Tarot. They are not "privately printed" by a Mr. Schikowski, as Kaplan assumed, Schikowski Verlag was a well known German publisher for occult books. 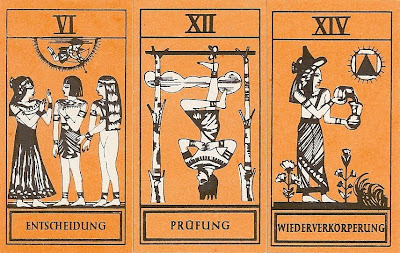 The cards were designed by Erich and Liesel Mutze, Wickelmann wrote only the book. 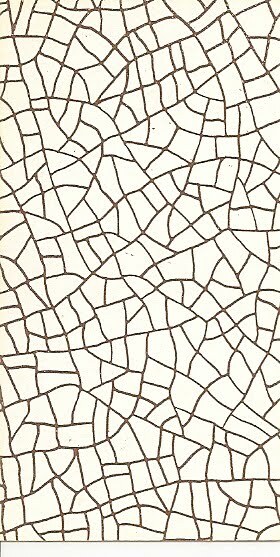 The cards from 1954 were ivory-colored and have a brown back, the cards from 1962 are orange with a grey-white patterned back. 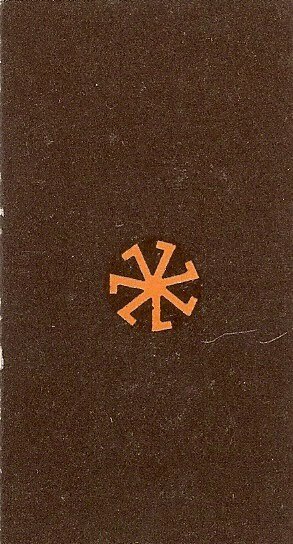 In the 1949 edition the fool is numbered XXII, in the two later editions the fool is numbered 0. 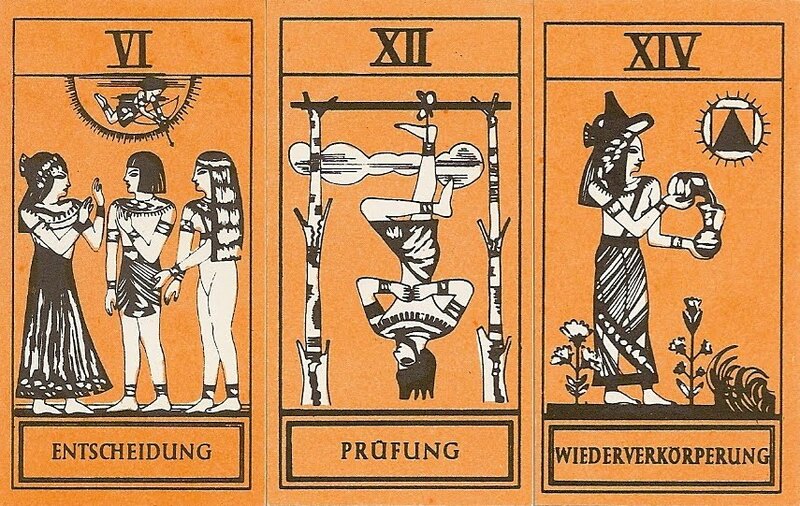 The cards bear Egyptian features with Roman numerals at the top and German titles at the bottom of each card. The symbolism largely follows the Marseille tradition, some of the cards are renamed.